This course combines classroom discussions and site visits, providing students an opportunity to link the theory of marketing with the practice. New York City is the center of the U.S. advertising industry, holding 20% of the market. Students have the opportunity to go behind the scenes to see how advertising companies work with their clients, and to gain insight into the development and implementation of major advertising campaigns. WindowsWear - An examination of NYC’s fashion industry and the latest fashions on display. 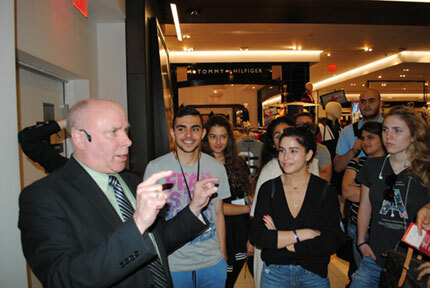 Students learn how retailers design their windows, and gain unique insight into some of the world’s most iconic brands including Alexander McQueen, Marc Jacobs, Jimmy Choo, Michael Kors and Tory Burch. Raaka Chocolate - Students learn from Raaka’s marketing manager about green marketing, organic focus, and ethical/social campaigns, as well as product assortment, branding, pricing, distribution, promotion and strategy. 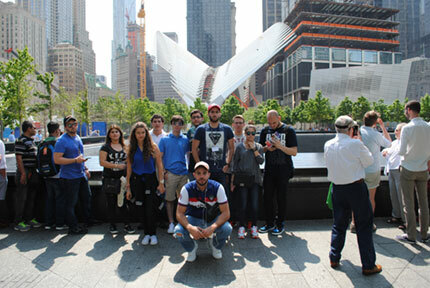 NYC & Company - As New York City’s official marketing, tourism and partnership organization, students learn how cities create marketing strategies to maximize travel and tourism. Macy’s Department Store - A visit to this flagship store, considered the largest in the nation, offers an opportunity to learn about merchandizing strategies. 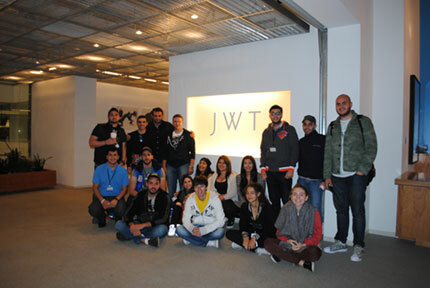 J. Walter Thompson New York - One of the world’s best-known marketing communications brands in the world, JWT offers students a behind-the-scenes look into the development of advertising campaigns for major clients such as Energizer, Johnson & Johnson, Kimberly-Clark, Macy’s, Nestle, Puma, T. Rowe Price, and Schick.